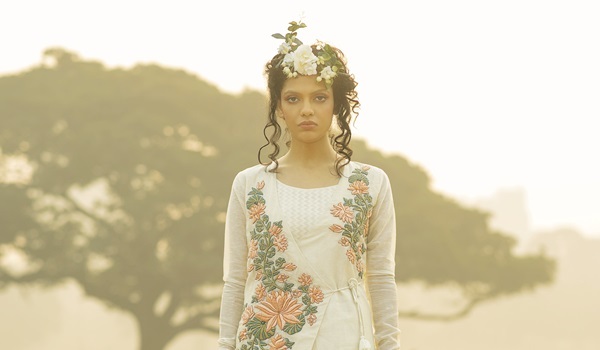 Kolkata-based label, Ekru, is showcasing their Spring Summer collection at Evoluzione. Inspired by the lotus, the collection is available in fabrics like chanderi, kora, chiffon and lace. Expect anarkalis, tunics and kurta sets. Available in shades like off-whites, lilac,A� peach and pastel pink, with a touch of gold. Anavilaa��s Summer Resort Wear collection, showcased at the recent Lakme India Fashion Week 2015, is coming to The Amethyst Room. Look out for monochromes coupled with soft and chalky pastels in fine linen, featuring techniques like hand batik. From Rs 9,500.